The Ming Tombs, located 50 kilometers northwest of Beijing proper, is a typical example of Chinese emperors' mausoleums and the best testimony of China's long history and civilization. They lie in a broad valley to the south of Tianshou Mountain (Longevity of Heaven) in Changping District. To the southwest of this valley, a branch of the Yanshan Mountains suddenly breaks off and forms a natural gateway to the 40-square-km basin in which the tombs were built. They are known as the 13 Ming tombs (in Chinese "Shisanling"), as 13 out of the 16 Ming emperors were buried there. In addition this peaceful valley is the resting place for 23 empresses, one highest-ranking concubine and a dozen immolated imperial concubines. It was widely held in the Ming dynasty (1368 - 1644) that although dead physically, a person's soul remained, still having human needs. Consequently, the 13 emperors' tomb complexes look like imperial palaces, featuring red walls, yellow tiles, storied buildings and palaces. Under the guidance of traditional Chinese fengshui, the whole process from site selection to designing of the tombs was based on maintaining harmony between tomb architecture and the surrounding mountains, rivers and vegetation, embodying the philosophical view that man is an integral part of nature. Dingling Tomb, also known as the Underground Palace, is the first imperial tomb to have been excavated in China. The tomb owner Emperor Wan Li and two of his wives were buried in 1620 in a deep marble vault located four stories underground (on the hottest of summer days, the vault remains mercifully cool). The entrance to the grounds is marked by a large red gate with a magnificent bronze lion. Gigantic marble doors stand at the entrance to the first of the three burial chambers. Inside are three coffins. Many of these precious finds can be viewed in the two exhibition halls constructed above ground. 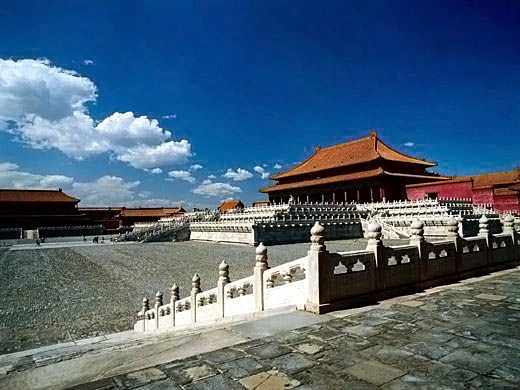 Among the 13 Ming tombs, the Changling Tomb was the first and largest one built in the area. 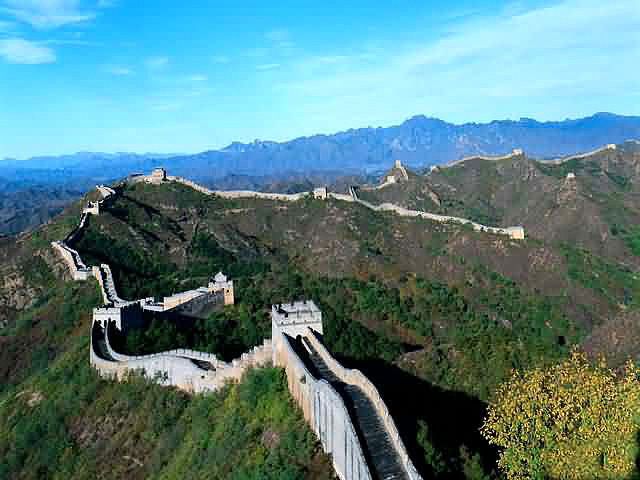 Its owner, Emperor Zhu Di, is well-known in Chinese history for moving the capital from Nanjing, now the capital of east China's Jiangsu Province, to Beijing. Completed in 1427, this complex took 29 years to complete. Exquisitely built, this tomb features one of the largest halls in China. Huge columns and architecture along the same lines as the grandiose Forbidden City allow the above ground portions of this tomb to cast the emperor 's long shadow even in death.